We treat all of our residents as any senior would want to be treated--with kindness, dignity, and a full-of-life attitude. That’s why our assisted living community is designed to provide residents with the care they need in a way that doesn’t inhibit them from living a vibrant, independent lifestyle. Step into our dining room, and you’ll find residents sharing a laugh with friends over breakfast, lunch, and dinner. Stroll through the courtyard and catch a glimpse of our seniors taking in a breath of fresh air. Or join one of our residents at the salon as she prepares for a night out on the town. 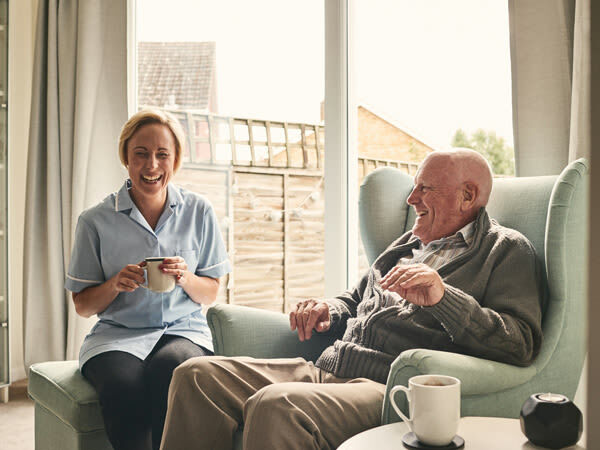 At Savannah Court, we strive to provide a safe, nurturing environment and give residents access to every engaging and exciting opportunity life presents them with. It doesn't matter whether your loved one is in need of minor assistance or whether he/she needs more in-depth care. We’ll be there to provide the assisted living care your loved one needs while also promoting independence. We invite you to come tour our community and see for yourself what we have to offer. Schedule your visit today. Every senior has unique needs. While one resident may only need help with taking medications, another might need assistance with bathing, nutrition, and housekeeping. At Savannah Court of the Palm Beaches, we provide a variety of services to help your loved one live life to the fullest. And we only charge you for what your loved one truly needs so you won’t ever pay for services that your family member doesn’t need. Before moving into our community, new residents are evaluated to determine which care services they need. From there, our nursing team will put together a customized and personalized care plan that will ensure your family member gets the best care possible. 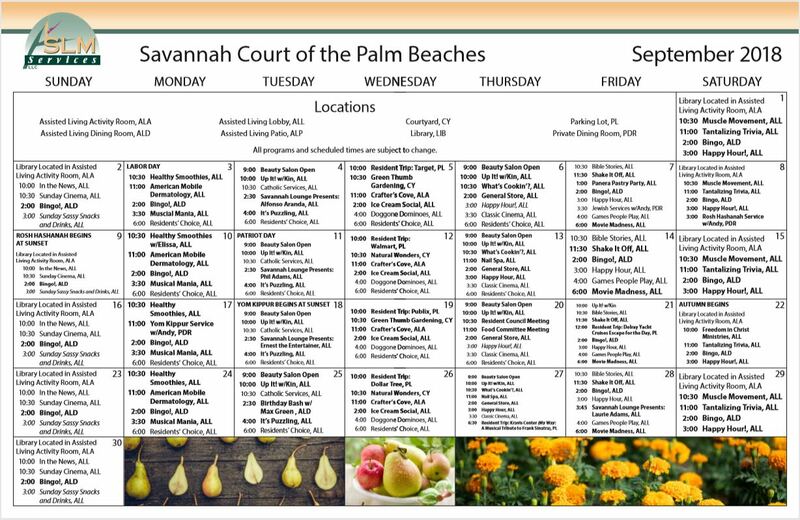 From morning exercise to weekly ice cream socials, there’s always something fun going on at Savannah Court of the Palm Beaches. View our calendar to see what’s happening this week. 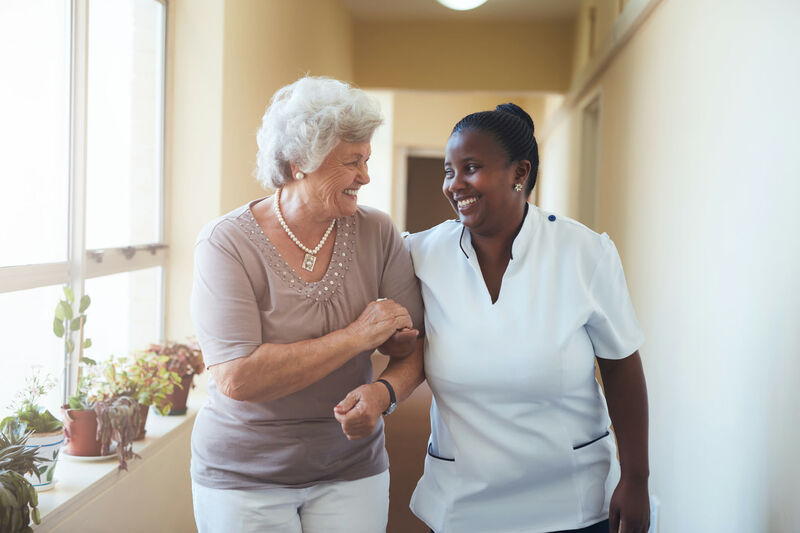 As a continuing care senior community, we provide both assisted living and memory care services with an on-site skilled nursing services that are available. It is our commitment to be there for your loved one if his/her medical needs change. Due to the levels of care we offer, we can ensure that your loved one is able to age in place, surrounded by friends, family, and medical care providers that truly care. Here’s what our residents and their families have to say about life in our community. "The rooms are very nicely done and very spacious, and they allowed us to hang pictures on the walls. It is fresh and clean. They have very fine people. The directors, counselors, and case managers are all very friendly and professional. My mom is comfortable with them. They are providing memory care, stimulating activities, and programs constantly daily--morning and evening--and she is beginning to participate in all of them. The food is delicious. They have a chef and a full-time physician on board. We were really impressed with it; that's why we chose it. Plus, the price was competitive. She is in assisted living with memory care accessible--she's not in memory care specifically. We moved her in mid-July."